Entire contents are copyright © 2013, Keith Waits. All rights reserved. The Community Foundation of Louisville and the Louisville Visual Art Association announced on Monday that multi-media artist Susanna Crum is the recipient of the first M.A. 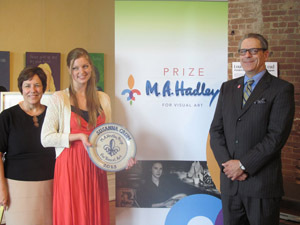 Hadley Prize for Visual Arts, which includes a $5,000 monetary award. At a morning press conference on June 10, Shannon Westerman, Executive Director of the LVAA, and Susan Barry, President and CEO of the Community Foundation of Louisville, revealed the choice, picked from 46 applicants by a selection committee comprised of a diverse panel of visual arts professionals from the Louisville Metro and surrounding area. The Mary Alice Hadley Prize for Visual Art recognizes artists in the Louisville, Kentucky, area who demonstrate a commitment to and potential for growth within their chosen medium in the visual arts. Rather than providing support for particular projects, this prize is designated for enrichment experiences that will help the winning artists pursue their personal ambitions and achieve their full artistic potential. Arts-Louisville had the opportunity to pose a few questions to Ms. Crum about winning the prize. 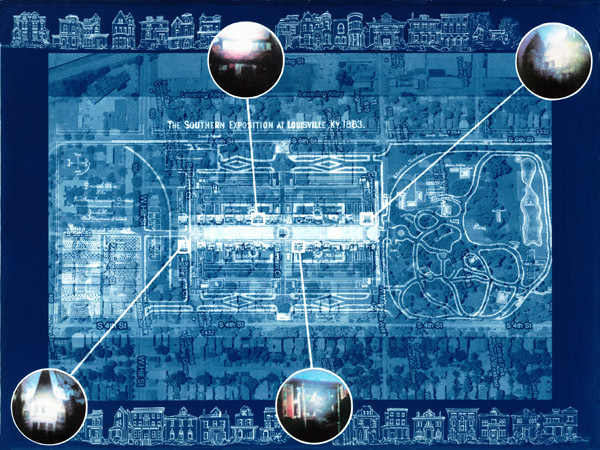 Arts-Louisville: The Hadley Prize seems like a wonderful opportunity for local visual artists. How does it feel to be the first recipient? 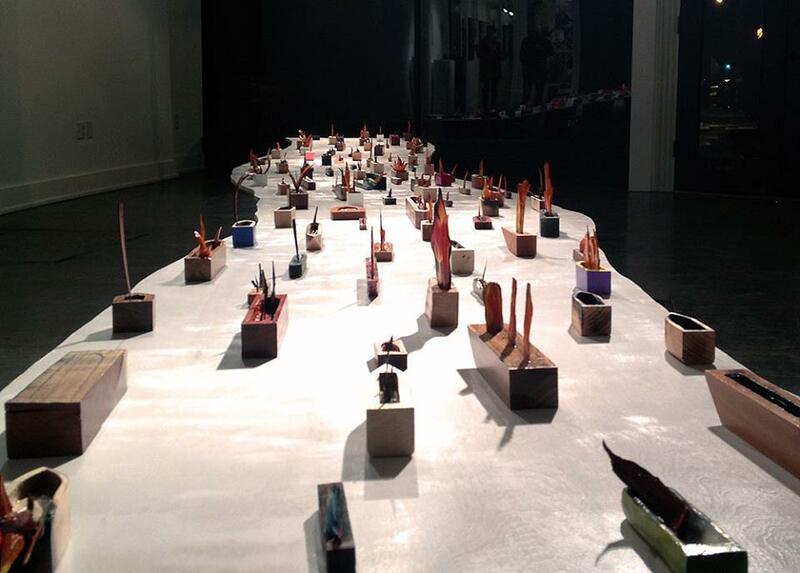 Susanna Crum: The application described the award as providing a “tipping point” for a visual artist in Louisville. The elements within my proposal, when funded, will indeed enrich and expand my artistic career and goal to run a printmaking studio. It moves my work forward in a way that I couldn’t without the prize. As the first recipient, I look forward to opportunities to speak about the short- and long-term benefits of the Hadley Prize, and how much it influenced my personal artistic work and collaborative practice for the future. Words aren’t sufficient to describe the affirmation (and momentum) that this award provides. I love local social history, and I am thrilled to be part of a future community of artists who have received funding in honor of Mary Alice Hadley, who I admire for starting a business in my hometown that engaged a centuries-old artistic medium and enhanced local art collection and appreciation. AL: How do you intend to use the funds? SC: My proposal included three opportunities that would have both short- and long-term benefits to my career and experience as an artist, and for the community print shop and gallery, Calliope Arts, that I am starting with collaborator Rudy Salgado Jr. Rudy and I moved to Louisville to start a printmaking studio, which will foster community-based workshops, collaborative projects, exhibitions, and print exchanges. Artists will be able to rent access to printmaking equipment for the production of fine art etchings, screen prints, woodcuts, digital prints, and lithographs. Those interested in learning about printmaking, or expanding their current knowledge, may take classes and workshops that encourage both the use of large printmaking equipment and DIY at-home techniques. Prints are original works of art that come in multiples, so Calliope Arts will provide opportunities for artists to display and sell their work in exhibitions and ongoing sale of individual prints. Because printmaking incorporates a wide range of equipment and a diverse community of artists, it is of utmost importance to create as many connections with fellow printmaking studios (and individual printmakers) as possible and to bring these ideas and methods of artistic support to Louisville. (based on footage taken with Camera Obscura video recorder). 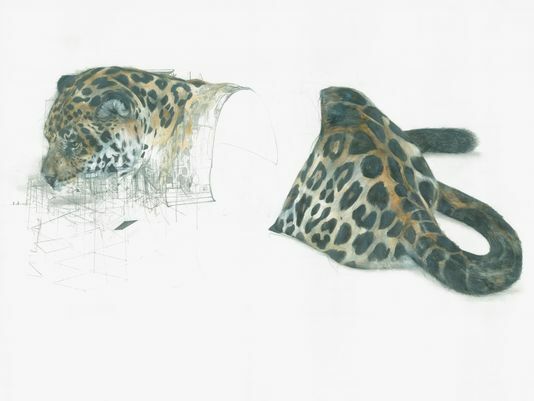 First, Rudy and I will travel to print shops and galleries with a similar model to ours, interview their directors and studio members, and build on our ideas with their recommendations and techniques in mind. The artists we meet will also be long-lasting connections for future collaborative exhibitions, projects, and visiting artists. 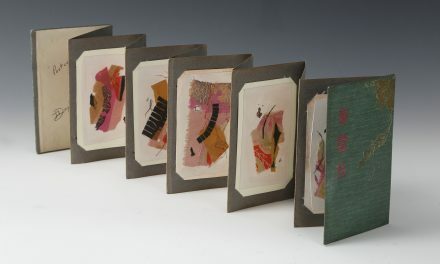 An example of this is Spudnik Press in Chicago, which offers exhibitions, workshops, classes, and rentable studio time. Second, Rudy and I will travel to regional businesses that restore or build printmaking equipment. These connections will prove invaluable for the future of maintaining our equipment and expanding our studio resources. Third, the Hadley Prize will allow me to bring a well-known professional printmaker to Louisville to consult on building DIY elements of the printmaking studio as well as teach a workshop and present a public exhibition of his/her work. These three activities will enrich my personal art career and work in printmaking, as well as the longevity, scope, and resources of Calliope Arts. AL: What was it about your proposal that you think the committee responded to? SC: My project will both enrich my personal artistic career and create opportunities, education, and support for artists and art collectors within Louisville. The Hadley Prize will allow me to pursue goals that simultaneously create immediate benefits and resources, as well as opportunities for further connection and collaboration in future years. I did a great deal of research of the resources in the region, which has been in progress for several years (based on my personal travels, participation in workshops across the country, and trips to national printmaking conferences), and I feel confident that each step will yield many benefits in the studio’s beginning phases and in future years. Hadley Prize Winner Susanna Crum.